Welcome back and welcome 2015! For our first episode of the year, we are doing a listener request. Bowda PR suggested we discuss 2015 trends young professionals – or any PR and communications professional – should be watching. Our hosts, Kristine D’Arbelles and Julia Kent did a bit of digging and found four interesting trends to watch. Hootsuite says, 2015 is the year that the impact of social media on business gets easier to show and possibly impossible to ignore. According to Ann Handley, Chief Content Officer at MarketingProfs, 2015 will be the year we create and curate content customers want. The idea of brands as publishers will be more important. Jay Baer, President, Convince & Convert says 2015 will be the year of paid amplification. With content marketing reaching near-ubiquity, the success pendulum will swing toward boosting consumption of content. That will put a new focus on math, testing and optimization as content production and content distribution become equally important. A bit of a surprise to Kristine and Julia, but nonetheless very interesting – Mark Schaefer, Executive Director at Schaefer Marketing Solutions says by the end of 2015, wearable technology should be gathering enough steam that we will begin to see some early marketing applications. 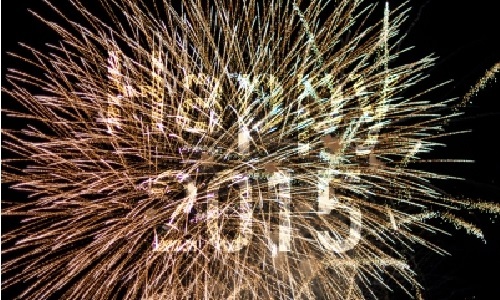 What do you think 2015 will bring? Share your opinions by writing a comment below, or on our Facebook Page, or on our Google+ page, or send us an email at youngprpros@gmail.com, or send us a message on Twitter @youngprpros, @kristinedarbell, or @kentjulia. This entry was posted in Young PR Pros podcast and tagged 2015, communications, job, jobs, julia kent, kentjulia, kristine d'arbelles, new year, PR, trends, young pr pros, young pros by Kristine D'Arbelles. Bookmark the permalink.